Propose means to suggest or to offer an idea or plan, usually when you need approval from someone else. It may also be used when nominating someone for a position or role. When used without an object, propose means to offer marriage. When John proposed a trip to Las Vegas, at first I thought he was joking. We’ve been studying for five hours. I propose we take a break and go for a walk to clear our heads. Our teacher was proposed as principal, which he considered a great honor. Tiffany and Kate had been dating for almost 10 years when she finally proposed. Propose is not normally followed by an infinitive when making a suggestion to others. Instead of “I propose to take a break” you should say “I propose we take a break” or “I propose that we take a break.” Propose can be followed by an infinitive if you are talking about something you intend to do yourself, for example, “I propose to visit Mr. Smith tomorrow,” but this would generally be considered too formal in modern speech. You might see it in written form, especially in older literature. When used to mean “suggest,” propose is quite formal and is appropriate for business contexts. In informal speech, native speakers are more likely to use suggest. Propose, meaning ‘to suggest or offer an idea or plan,’ dates back to the mid-14th century, as the Late Middle English verb proposen. It came into English from the Old French proposer, meaning ‘to propose, advance or suggest.’ It is formed by the prefix pro (forward, forth or to the front) and the verb pose (poser in Old French). Pose (to suggest, suppose, assume, grant or concede), came into English as a verb in its own right around the same time as propose from the Old French poser (to put or place), and can be traced back to the Late Latin pausare (‘to rest, pause or cease,’ or ‘to cause to rest or pause’) and the Latin pausa (pause). Pausare actually took over the sense of an older Latin verb meaning ‘to put or place,’ ponere, due to their similar stems. 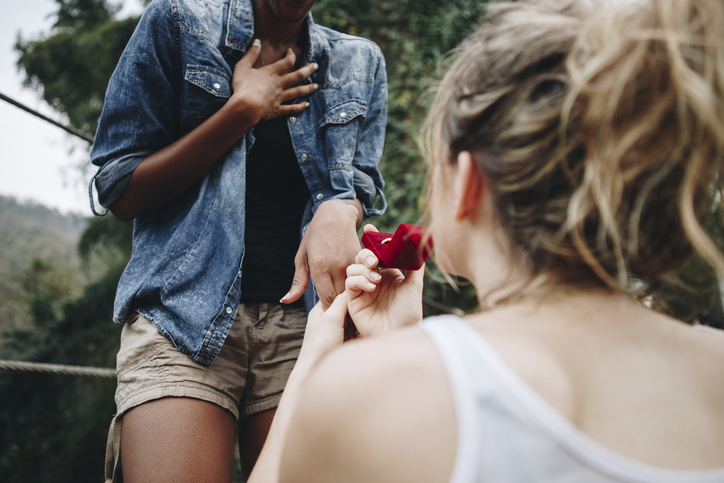 Propose is related to the French, proposer, the Italian proporre, the Portugese propr, the Spanish proponer and the Romanian propune, among other Romance language equivalents. It is also related to the English words pose, position and pause, as well as similar words in many other European languages. The sense ‘to make an offer of marriage’ dates back to the mid-18th century.